“ANTI WRINKLE HEXAPEPTIDE” a new anti wrinkle treatment, without the needle! 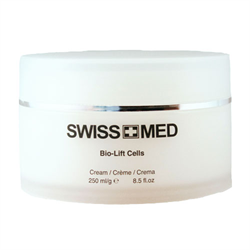 Swiss Med products contain a very high amount of ANTIWRINKLE HEXAPEPTIDE in combination with other highly valuable active ingredients that work synergistically to increase the effectiveness of this remarkable anti aging technology. Available as a professional facial and an easy home care regime. A safe yet highly effective new generation of Alpha-Beta Hydroxyl acids for skin resurfacing to immediately improve its texture, firmness and radiance. Available in two versions a stronger formula for professional use and a gentler one for home use.